Florida is overwhelmed at the moment with pre-foreclosure sales, short sales, bank owned properties and fire-sales by owner. This leaves an ugly trail of “comparable” sales data that acts to drive real estate prices in Florida lower. For all these reasons, marketing is more critical now than ever. Finding a buyer that will pay you as close to market value as possible depends on how successful your FSBO marketing campaign performs. FSBO or For Sale By Owner marketing strategies vary. In Florida, we have “By Owner” type websites that charge a small fortune to list your home, as high as $4,000. There are 3 issues with these FSBO sites. One, FSBO listing fees are equivalent to 50% a full-service real estate commission and you pay this upfront with no guarantee that you'll sell your property. Two, in a buyer's market, buyers are scarce and Realtors® have many of them. The reason is because buyers know Realtors® have the inside scoop on short sales, foreclosures and buyers use them to dig out properties. With that being said, FSBO sellers would gain a share of these buyers that are exclusively working with Realtors® by listing flat fee in the MLS. Three, For Sale By Owner websites have limited Internet visibility. The most effective way for a Florida seller to gain maximum exposure is to list FSBO with MLS. This relatively new approach eliminates the listing commission that a “listing agent” would normally receive. The FSBO MLS seller offers just a “buyer's agent” commission of between 2-4%. Most Florida MLS flat fee sellers offer a 3% commission. ADDvantage does offer a Realtor® to Realtor® E-Blast flat fee program called Street Smart ADDvantage®. It is the most proactive flat fee program in Florida. 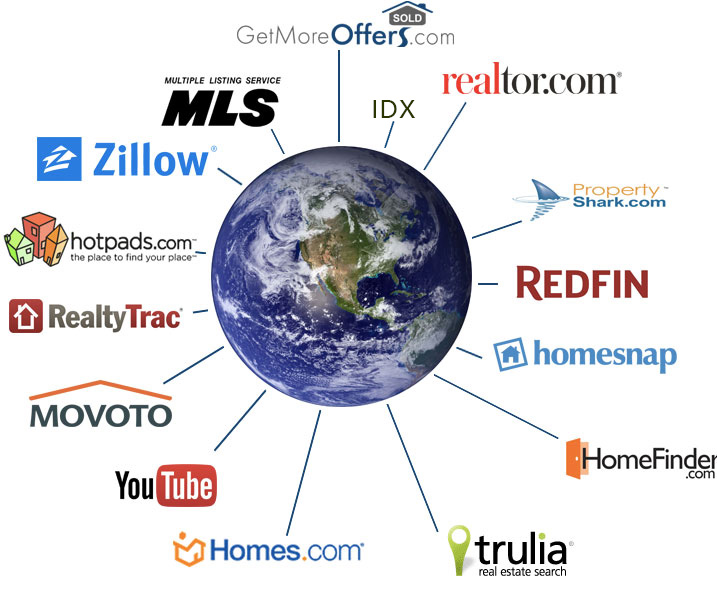 The flat fee listing broker receives anywhere from $199-$500. This varies depending on which flat fee MLS broker you choose. ADDvantage, Florida's most trusted flat fee broker, offers its 9 months flat fee listing for (Program not currently available). In a buyer's market, sellers need help from all advertising sources. Listing with just one FSBO website is not aggressive Internet marketing. It is selective, expensive and narrow. The best FSBO marketing in Florida would be a combination of FSBO and MLS (Multiple Listing Service) which is flat fee. This strategy employs thousands of local Realtors® that live and work near your property to help find a buyer. While it does cost a commission of near 3% to work with a Realtor®, the extra cost can easily be offset by asking a slightly higher price for your property. When listed flat fee, the seller retains the right to sell their property without a Realtors® involvement, just the same as selling completely FSBO. If a Realtor® brings the buyer, the FSBO seller pays just that buyer's agent a commission which is set by the seller before the listing is placed in the MLS. Check out what ADDvantage clients have to say about listing flat fee.